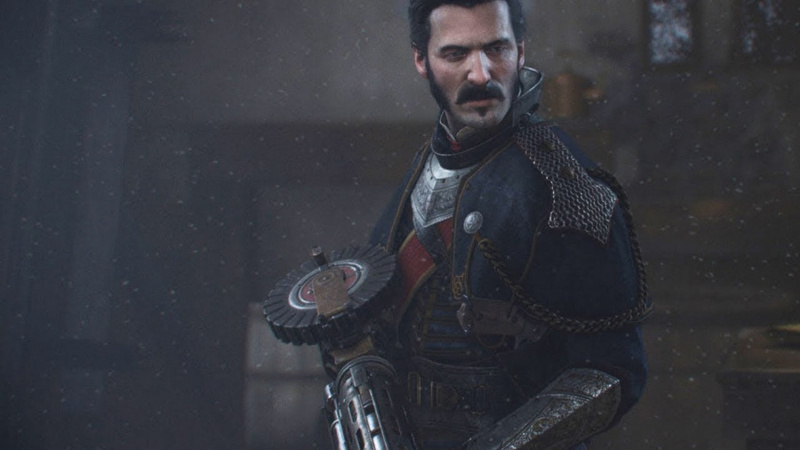 The studio behind the PlayStation 4 exclusive The Order: 1886 is interested in working on the Nintendo Switch, according to its creative director. Every time a platform comes out, we always feel like there's something really cool that can be done with it - a huge graphical advance, a huge technological advance, a new way of interacting in games like VR does. Switch, I think, is the same kind of thing. We see it and we see the market that they're trying to really kind of grab, expand, and also build. I would definitely tell you that, yeah, internally at the studio there's a lot of interest for the Switch. Ready At Dawn has mainly worked on Sony hardware, bringing titles such as Daxter, God of War: Chains of Olympus and God of War: Ghost of Sparta to PlayStation Portable. However, it does have some Nintendo experience, having ported Capcom's Okami to the Wii in 2008. Its latest title, Deformers, would arguably be a good fit for Switch. I sure hope it would. It looks really good and zany fun game. I want Deformers on the Switch, that would be great! After they got dropped by Sony for creating a flop, I'm sure they're "interested" in working anywhere. Unrelated, but I randomly started replaying The Order 18.86fps a few hours ago to hunt trophies. Weird timing. And here I was thinking I was the only one who thought Deformers looked awesome, and a perfect fit for Switch. They made the 2 best God Of War games IMO but The Order sucked HARD! All these developers say they're "interested" but don't commit to doing anything. They're just blowing smoke. Ready at Dawn, announce something. Then we can talk about it. I've never played any of their games, but bring something nice to the Switch and that should likely change. Deformers hasn't been getting good reviews, the PS4 version is currently 62% on Metacritic with the Xbox One version even lower at 49%. Devs saying that Nintendo's hardware is interesting is their way to say; "Yeah nice...but no..."
This is a cool interest. But if the possibility comes to fruition "please no movie games." @SLIGEACH_EIRE Some could be under NDA's as E3 might be where some of these games may be announced. BUt it's true we've heard of a lot of "interest" from higher tiered developers but ZERO in terms of actual concrete game development. @SLIGEACH_EIRE give the guys a break.. developers still need a publisher behind them. They can't develop with no funding. Right on but everyone has interest...we'll see if this pans out. Lot's of devs are interested in lots of things, lol. Wake me when a dev says they are "bringing" a game over or "creating" a new IP for Switch, then I'll get excited. I'll be interested to see what they make (if anything). I really liked The Order:1886; I don't really know why people didn't like it. It was graphically impressive, had a good soundtrack, and I really enjoyed the gameplay. To me, it was the Playstation's answer to Gears of War. Then again, I also only paid like $7 for the game off PSN...so perhaps my opinion is a little skewed by paying such a great price! I'd really like to see a dark and gritty game (beyond Binding of Isaac) come to the Switch. The one thing I have noticed is that most of the games released and coming to the Switch are very animated. I don't have a problem with it, but it's still a little disappointing to see Nintendo getting passed over, again, for more "grown-up" games. I hope E3 will change that outlook. Graphics mean nothing if the gamplay isn't there. That's why they're stuck in a rut right now after their recent games flopped. I won't even consider touching a new game of theirs unless they learn from their mistakes. Well whatever they make I hope it is longer than the order. As long as a new game from them is decent and more...thought out when compared to The Order: 1886, I'm fine with them trying their hand at Switch development. I can't buy or play "interest" on my Switch. Make a game for the thing or shut up. Make it happen. Have it ready at dawn. Had two of their PSP games back in the day: Daxter and the first GoW. No exaggeration to say they were two of the best games on the platform. Bring it. Team with Capcom and just give us Okami 2. @SLIGEACH_EIRE @Mommar Funny enough, committing projects to consoles that aren't yet properly established in the markets yet is incredibly risky for developers. Even if they aren't yet developing, being "interested" is an incredibly good sign for the future and means they're keeping an eye on how well they might do. Investing into a console can make or break you depending on the size of a studio. People give developers such a hard time just because they aren't sure if they should bring their games out on Nintendo systems. A lot of people usually respond to this with "Pfft well we don't care if you don't bring your games to the Switch" when really, this is the confirmation they needed on why they shouldn't bring their games to Switch. It's unfortunate people don't think about this and how things look from their viewpoint. I have to say The Order is an atrocious excuse for a video game. If they ever work on a Switch title, I hope it's something entirely different. Interest is always appreciated, but it's a silver medal compared to a full blown commitment. IMO the order got alot of negativity directed toward it unfairly. Yeah it didnt reinvent the wheel, but by no means was it a terrible experience. I'd be upfor RAD working on the switch.